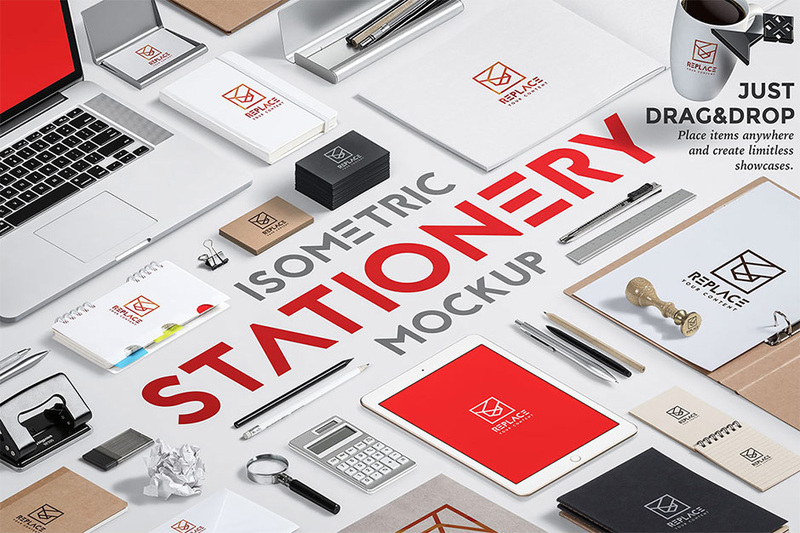 Choose tons of stationery items, drag & drop into your own scene and get limitless stationery mockup scenes for your branding work. Included are white, craft and black stationery items to make a perfect showcase. Many print items, notebooks, business cards, Apple devices and additional merchandise are also included. You can create awesome Behance showcases or prepare a unique portfolio of your own. These mockups are also superb for presenting your branding designs in front of your potential clients. Software requirements: You need Adobe Photoshop CS4 or higher to replace your designs into smart objects. Just drag & drop your selected items into “Stage Generator.psd”. After that you can move items anywhere and play with shadow opacity value. Also you will get ready-made light setups in ready-made stages. File size is approx 1.2GB (2.92GB unzipped), offered as a single download, as well as a 2 part download. Software compatibility: You need Adobe Photoshop CS4 or higher to replace your designs into smart objects. Hi guys, I bought this product after reading your comments, hoping for US sizes. I don’t see US sizes, no bus cards 3.5×2, no US paper size etc. Where is it? Thank you so much for reaching out to us and I’m so sorry for any disappointment caused by your new Iso. Stationary Mockup Scene Generator. Rest assured I have popped you an email to help! Is this US Paper Standard or International ISO Standard sizes? Thanks so much for getting in touch! I am sending you a quick email to assist you with your query 🙂 I hope it helps, and please don’t hesitate to contact me should you have any other questions. I’m always happy to help! Hi, I have the same question as Jason: Ist this US Paper Standard or ISO/DIN Sizes? Thank you! Thanks so much for your comment and i’m sorry if you’ve been wondering!